The dramatic explosion of information brought about by recent advances in genetic research brings welcome scientific knowledge. Yet this new knowledge also raises complex and troubling issues concerning privacy and confidentiality. This thought-provoking book is the first comprehensive exploration of these ethical, legal, and social issues. Distinguished experts in law, medicine, bioethics, public health, science policy, clinical genetics, philosophy, and other fields consider the many contexts in which issues of genetic privacy arise-from research and clinical settings to workplaces, insurance offices, schools, and the courts. 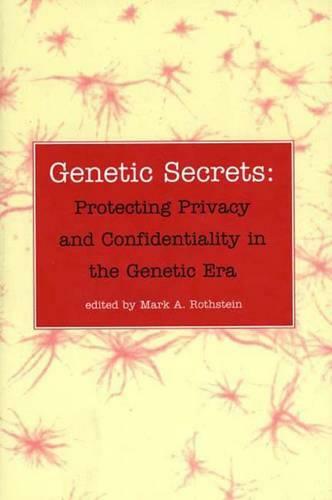 The first chapters of this book set out a framework for analyzing genetic privacy and confidentiality, comparing genetic privacy with other forms of medical privacy. Later chapters deal with such topics as concerns that arise in the health care setting (the patient-physician relationship, genetic counseling and privacy); the effect of new technology (the role of commercial genomics, forensic DNA applications); nonmedical uses of genetic information (the law of medical and genetic privacy in the workplace, implications of genetic testing for health and life insurance); and a review of ethics and law in the United States and abroad. In the concluding chapter, Mark A. Rothstein discusses flaws in existing and proposed legislation designed to protect genetic privacy and confidentiality, and he offers a new set of guidelines for policy makers.